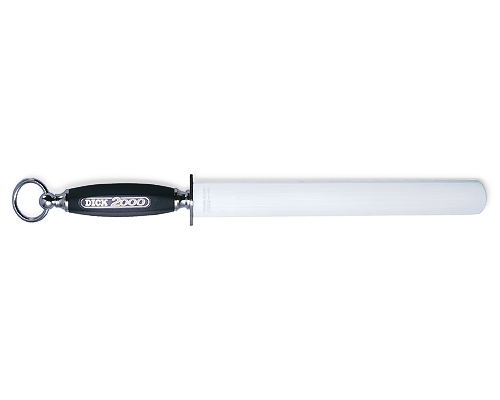 The ST-1700 Hard Chrome Steel Rod from master grade is a fine cut honing rod. 1) How the grooves are machined. The shoulders of the grooves nicely squared from using quality cutting dies and machined slowly enough to not burr. 2) How hard is the steel: It must be harder than the knife, and at 65 Rockwell, this MasterGrade rod is extremely tough. 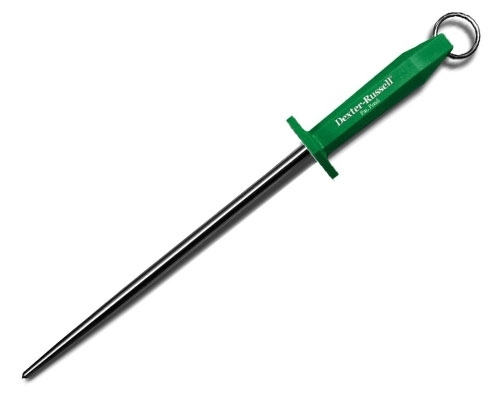 There are very few knives which are harder, and for these we recommend a ceramic honing rod. 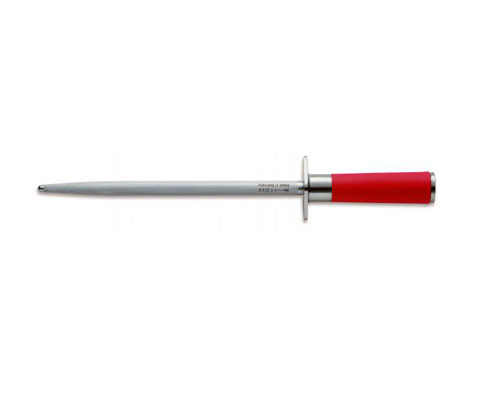 The vast majority of kitchen knives are in the range of 54 to 61 Rockwell. 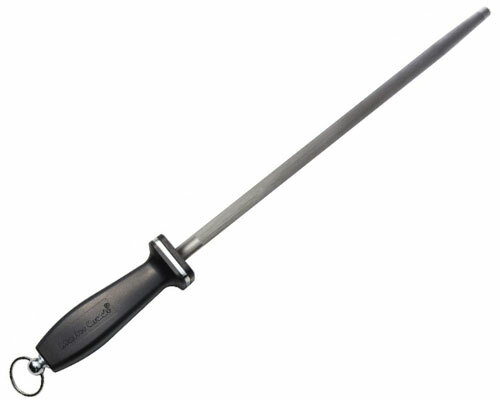 3) Number of lines or pattern: With 500 grooves, this fine cut rod is suitable for either German or Japanese cutlery. 4) The Handle: Many high quality sharpening steels have a metal finger guard, this one is hard plastic. When using a rod, you can occassionally hit the finger guard. We prefer that the knife win this battle. You're not going to actually cut through this finger guard, but it will not nick your knife.